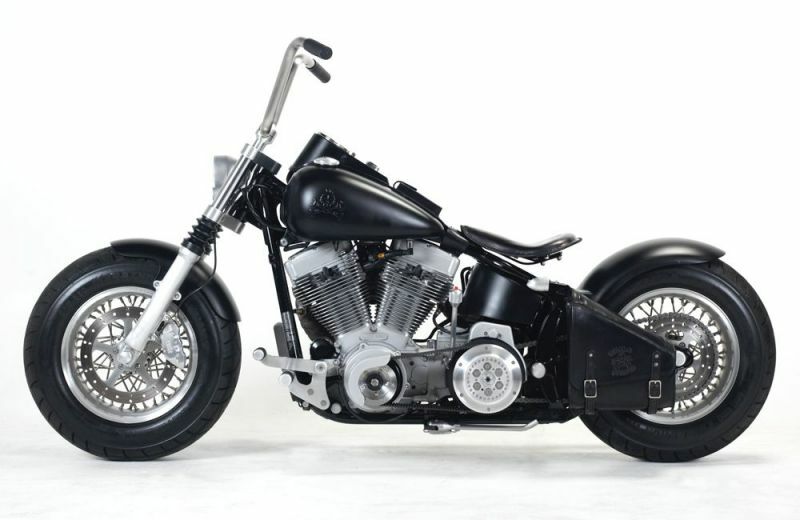 Who would believe that this awesome bike is a basic bolt-on project (except for removal of fender struts)? 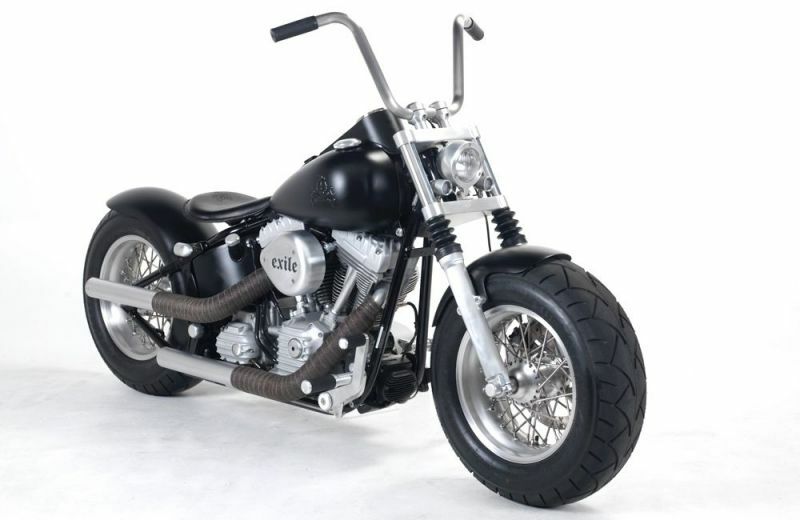 All the best Exile parts plus some great leatherwork, ribbed engine covers, 3D tank graphics etc make this one special ride. No wonder Russell built this one for himself! 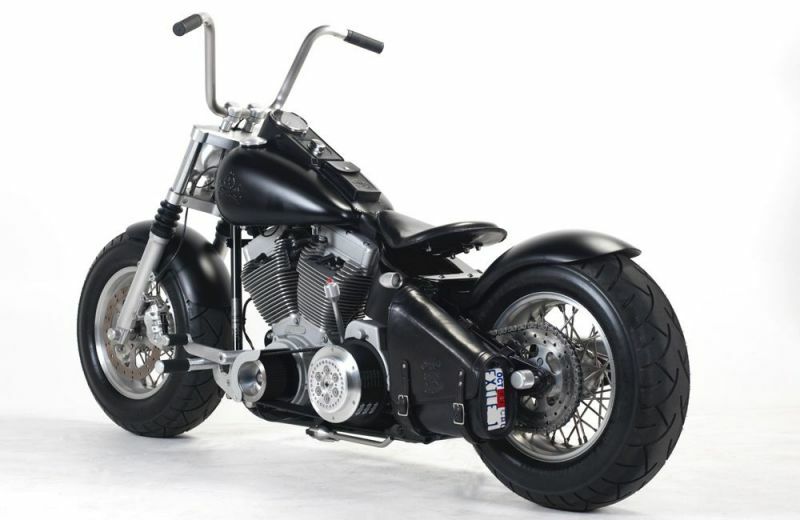 This bike features around $15,000 of parts from our catalog, plus paint, powder-coat, upholstery, etc.